A.1. 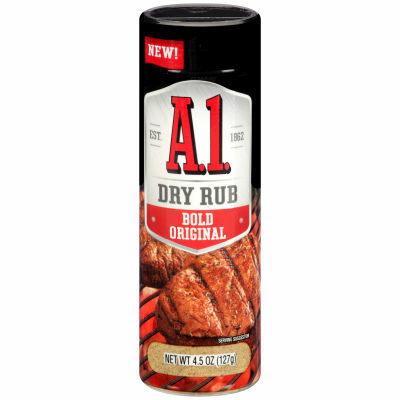 presents the premium quality Bold Dry Rub to complement all kinds of meats. A good steak only gets better when paired with a delectable Bold Dry Rub. A.1. Bold Dry Rub brings you a blend of flavors, that's bound to take your steak from a meal to an exciting experience. Rub it all over your meat loaf and let it do its magic! If you want the flavors to penetrate deep, leave it overnight in the refrigerator and grill the next day. You'll love your meat to the last bit!